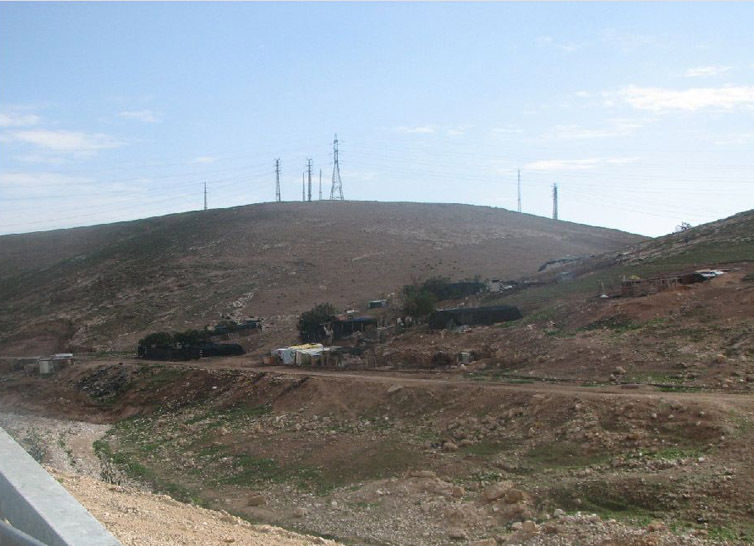 The Abu Falah residential area is located east of Mishor Adumim, north of the industrial zone and south of Road No. 1 leading to Jericho. 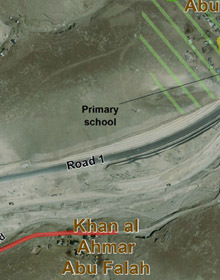 The locality is part of the Khan Al-Ahmar clusters and has access to the clusters north of Road No. 1 via a dirt road that passes beneath it. Residents arrived to the area in the 1950s, following evacuation and deportation from the Tel Arad area, attracted there by the availability of good grazing lands. They settled there with the agreement of private land owners in A’nata (in the northern part of the cluster) and I’sawiya (in the southern). According to residents’ testimony, these areas provided them with seasonal grazing lands in winter, even before they settled there permanently. 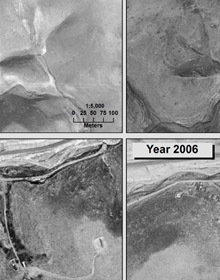 The historical analysis indicates that there has been permanent settlement at Abu Falah since the 1980s. Today, all of the lands there have been expropriated, as part of the expropriation in 1975, for the benefit of Ma’ale Adumim, and they are included in the jurisdictional area of the city in the limits of its master plan. In the mid-1990s, a number of demolition orders were issued for buildings in Abu Falah, but according to residents’ testimonies, no demolitions have been carried out. At the same time, residents in the past received evacuation orders and representatives of the Civil Administration visit regularly and prohibit any new building or additions to existing buildings. The grazing areas around it have been drastically reduced over the years, due to the proximity to the industrial area, army bases and closed military areas. Today, grazing is confined to the immediate vicinity of the houses, and the flocks serve only the domestic need of the residents. The residents testify that in the past, under Jordanian rule, lands for agricultural cultivation were available to them, but since the Israeli occupation, this ceased to be the case. Today, residents tend small plots home use. The wadi that passes near the residences channels rainwater and water from the waste treatment plant located north of the road, causing putrid smells and environmental pollution harmful to the residents, particularly in the summer months. In addition, residents suffer from tremendous difficulties of access, since there is no direct access to the main road that passes nearby, and because additionally, public transportation vehicles are prohibited from stopping in the entire area.